There is a magical land located in the Middle East; it is but a relatively small dot on the map, but has played an enormous role politically and religiously throughout recorded history. This is a place described in the Old Testament as the Holy Land, home to the Israelites. 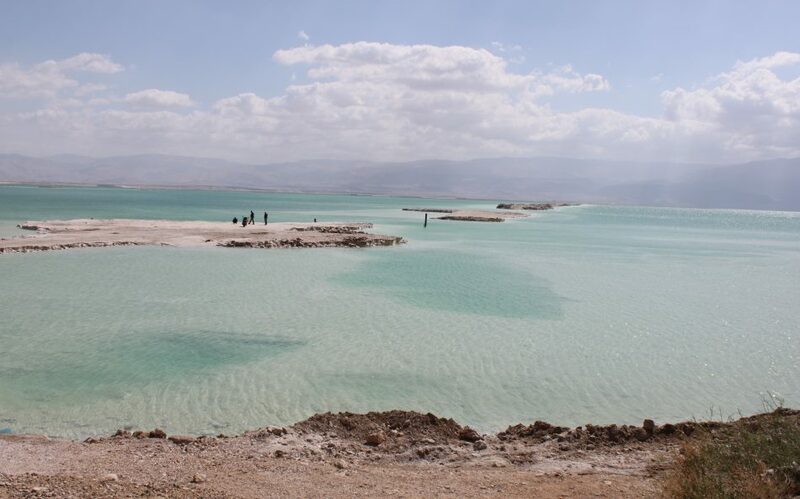 This is Israel – a landscape of deserts, beaches and at times, snow-capped mountains. 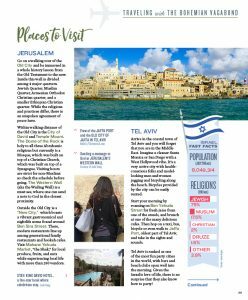 Israel is a travel destination sought out by a diversity of travelers: the foodie, the extreme adventurer, the history buff, the culture lover, the curious intellect, the spiritual seeker, the religious, the party animals, and those interested in politics. After spending some time in Israel your perspective on the Middle East will change visually, and introspectively. Visually, Israel is among the most advanced in the world with solar-energy, water conservation, geothermal energy, high-rises, two natural gas reserves, 11,244 miles of paved toll roads and industrial development with the 35th largest economy in the world (amazing for its size!). 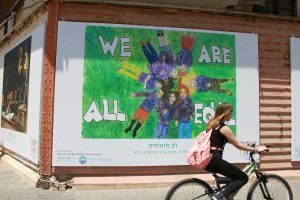 Israelis have very high life expectancy and are rated as the most educated people in the world. 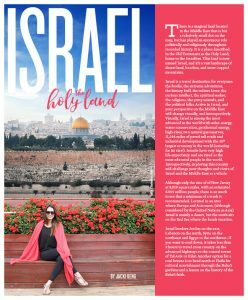 Introspectively, exploring this country will challenge your thoughts and views of Israel and the Middle East as a whole. Although only the size of New Jersey at 8,019 square miles (with an estimated population of 8.5 million), there is so much to see that a minimum of a week is recommended. 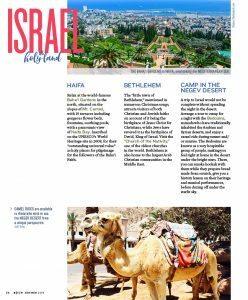 Located in an area where Europe and Asia meet, (although considered by the United Nations as Asia) Israel is mainly a desert – although the south sits on the Red Sea (a favorite vacation spot for locals). Israel borders Jordan on the east, Lebanon on the north, Syria on the northeast and Egypt to the southwest. 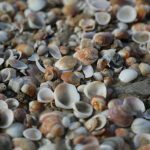 If you want a cooler climate, it takes less than 5 hours to travel cross country on the modern highways to the coastal towns of Tel Aviv or Eilat. Another option for a cool breeze is to head north to Haifa along with some cultural nourishment through the Baha’i gardens and a lesson on the history of the Baha’i faith. 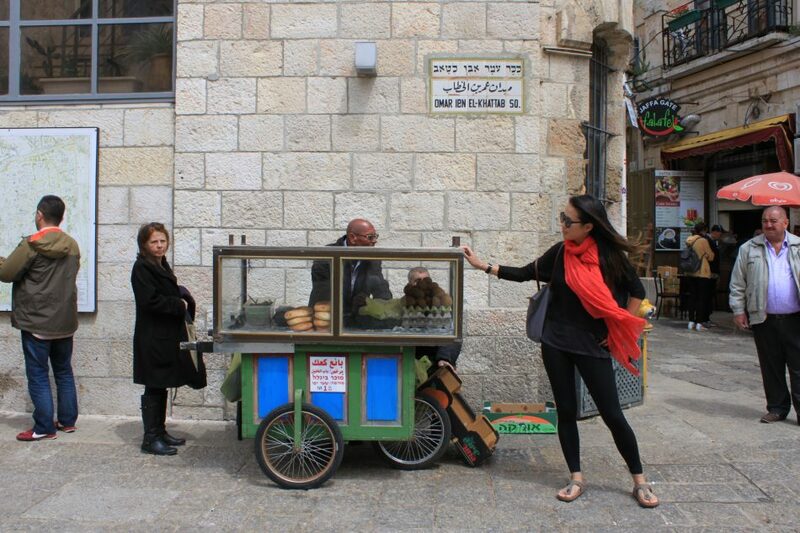 Go on a walking tour of the Old City and be immersed in centuries of history ranging from the Old Testament to the New. Four major quarters are contained within the old city walls: Jewish Quarter, Muslim Quarter, Armenian Orthodox Christian quarter, and a smaller Ethiopian Christian quarter. 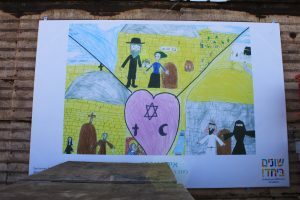 While the religions and practices differ, there is an unspoken agreement of peace here. 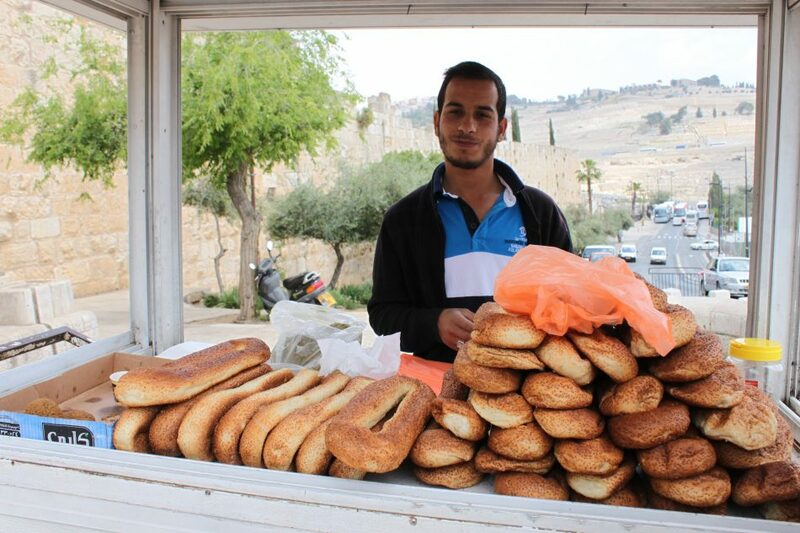 Within walking distance of the Old City is the City of David and Temple Mount. The Dome of the Rock is holy to all three Abrahamic religions but currently is a Mosque built on top of a Christian Church, which originally was built on top of a synagogue. Visiting hours are strict for non-Muslims so check the schedule before going. The Western Wall (aka the Wailing Wall) is a must see – where one can leave a note to God. 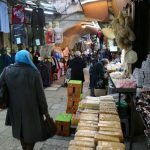 Outside the Old City is a “New City,” which boasts a vibrant gastronomical and nightlife scene mainly centered around Ben Sira Street. 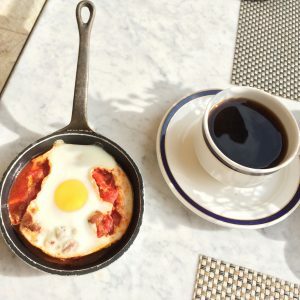 There, modern restaurants line up among generational family restaurants and hookah cafes. 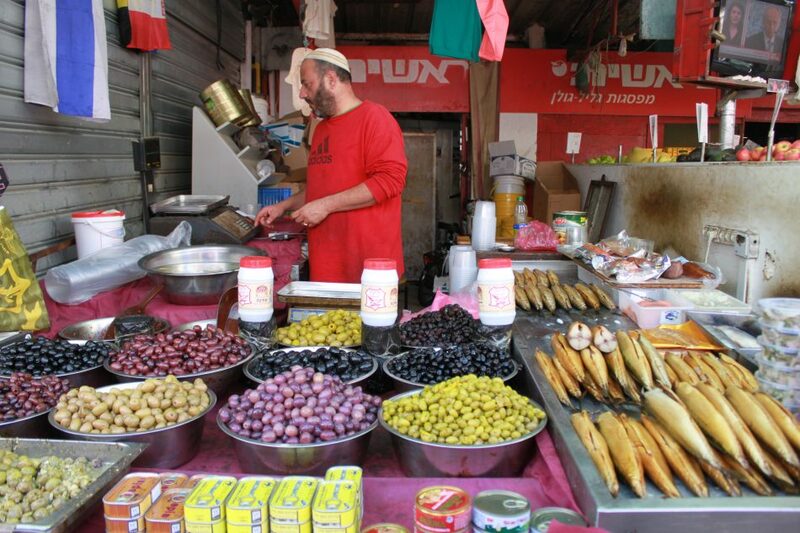 Visit Mahane Yehuda Market, “the Shuk,” for local produce, fruits, and nuts while experiencing how locals shop (contains more than 250 vendors). Stay: King David Hotel, a 5 star hotel where celebrities often relax. Arrive in the coastal city of Tel Aviv and you will forget that you are in the Middle East. Imagine a cleaner Santa Monica or San Diego with a West Hollywood vibe. It’s a very active city with health-conscious folks and model-looking men and women jogging and bicycling along the beach. Bicycles provided by the city can be easily rented. Start your morning by roaming on Ben Yehuda Street for fresh juice from one of the stands, and brunch at one of the many delicious cafes. 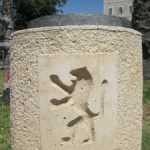 Then hop on a taxi, bus, bicycle or even walk to Jaffa Port – the oldest part of Tel Aviv, and take in the sights and sounds. Tel Aviv is ranked as one of the most fun party cities in the world, with bars and beach clubs open well into the morning. Given the Israelis love of life, there is no surprise that they also know how to party! Relax at the world-famous Baha’i Gardens in the north, situated on the slopes of Mt. 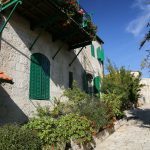 Carmel, with 19 terraces including gorgeous flower beds, fountains and soothing pools – all with a panoramic view of Haifa Bay. These gardens were inscribed on the UNESCO’s World Heritage site in 2008 for their “outstanding universal value” as holy places for pilgrimage for the followers of the Baha’i Faith. The “little town of Bethlehem,” mentioned in numerous Christmas songs, attracts visitors of both Christian and Jewish faiths on account of it being the birthplace of two prominent individuals: Jesus Christ for Christians and Jews revere it as the birthplace of David, King of Israel. 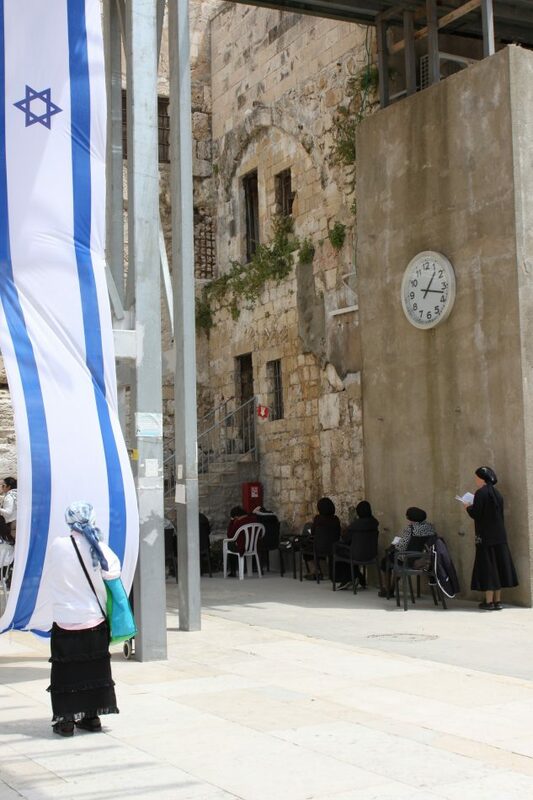 Visit the “Church of the Nativity,” one of the oldest churches in the world. 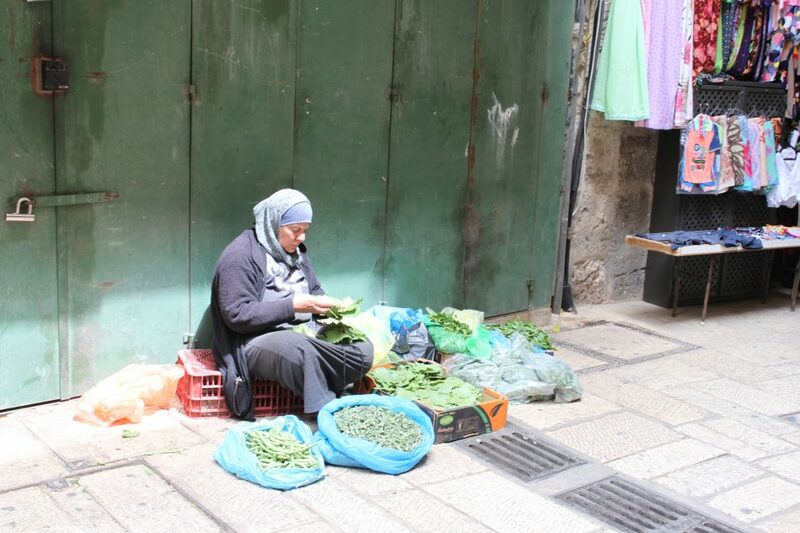 Bethlehem is also home to the largest Arab Christian community in the Middle East. 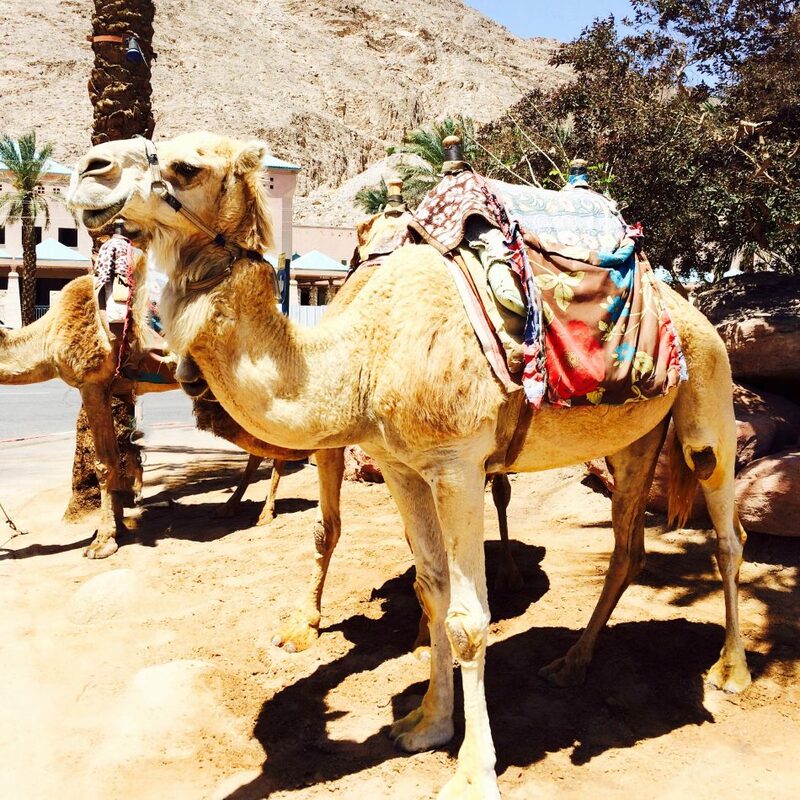 A trip to Israel would not be complete without spending the night in the desert. Arrange a tour to camp for a night with the Bedouins; these are nomads who have traditionally inhabited the Arabian and Syrian deserts. Also enjoy a camel ride during sunset and/or sunrise. The Bedouins are known as a most hospitable group of people, making you feel right at home in the desert under the bright stars. There, you can smoke hookah with them while they prepare bread made from scratch and learn about their heritage through musical performances before dozing off under the starlit sky. 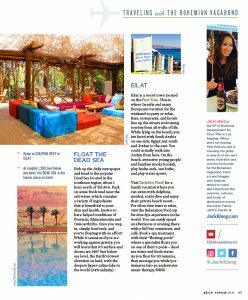 Pick up the daily newspaper and head to the popular Dead Sea located in the southeast region, about 1 hour south of Tel Aviv. Slather on some fresh mud near the salt water, which contains a variety of ingredients supposedly beneficial to your skin and health (known to have helped conditions of Psoriasis, Rhinosinusitis and Osteoarthritis). Once you step in, simply lean back, and you’re floating with no effort! While it seems as if you are working against gravity, you will learn that it’s surface and shores are 1407 feet below sea level, the Earth’s lowest elevation on land; this is the deepest hyper-saline lake in the world (34% salinity). 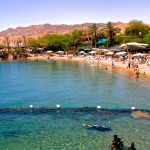 Eilat is a resort town located on the Red Sea. 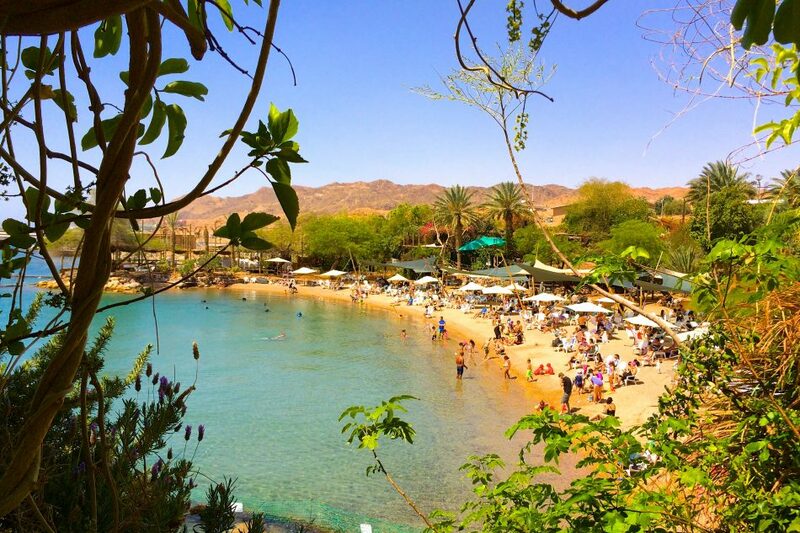 This is where Israelis and many Europeans vacation for the weekend to party or relax. Bars, restaurants, and hotels line the streets welcoming tourists from all walks of life. While lying on the beach, you are faced with Saudi Arabia on one side, Egypt to the south and Jordan to the east. You could actually walk into Jordan from here. On the beach, attractive young people and families smoke hookah, play hacky sack, sun bathe, and enjoy a variety of water sports. Visit Dolphin Reef for a family vacation where you can swim with dolphins, snorkel, scuba dive and enjoy their private beach resort. For those who want to relax, visit the Relaxation Pool, my favorite Spa experience in the world. You can easily spend an afternoon or evening there enjoying the full bar, restaurant, and café. Book a spa treatment with their “floating pools” where a specialist floats you on one of their 3 pools – containing both Dead Sea water and fresh water. As you float for 30 minutes, enjoy the relaxing massage while simultaneously being immersed by underwater music therapy. Excellent article, Jacki. We enjoyed it very much along with your fantastic pics. 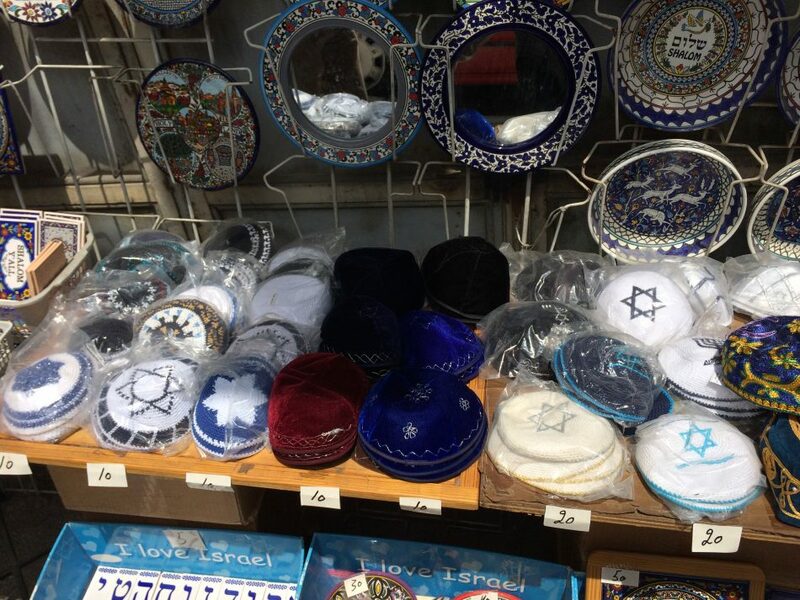 Visiting Israel has been on our must see travel list along with Egypt for many, many years. Several times we planned and booked a trip to both nations only to be very disappointed when a dangerous conflict escalated and our trip was cancelled. After reading your article we are anxious to begin planning a trip in 2017.